So, you’ve built a website… now what? Of course, it would be nice if your target customer simply stumbled upon your website, but this is rarely the case. Unfortunately, the “If I build it, they will come,” model isn’t very effective! Instead, you’ll need to use a technique called search engine optimization (SEO) to help you connect with customers. However, Google and other search engines don’t make it easy! That’s where our SEO consulting services can help. Here at conversionMOXY, we stay up-to-date on the best ways to get traffic to your site from search engines. We want to help customers find your business! What makes conversionMOXY the best? At conversionMOXY you aren’t just a number to us. While other SEO consulting services may focus most on upselling you to buy bigger packages, we put you first. Initially, an SEO consultant learns as much as possible about your business. We want to understand your target demographic and the competitors that you have. Only then, will we recommend the services that your business will need, in order to enhance your online presence. Yes, we’ll make the best recommendation even if it isn’t our most expensive package! After all, return on investment matters. Our clients come back again and again because they’re seeing results. We don’t just care about our payday; we care about yours. We know that every business is different. Thus, every SEO strategy has to be different. We do not believe in cookie-cutter solutions. Instead, we’ll analyze your top competitors and come up with a plan that works for you. 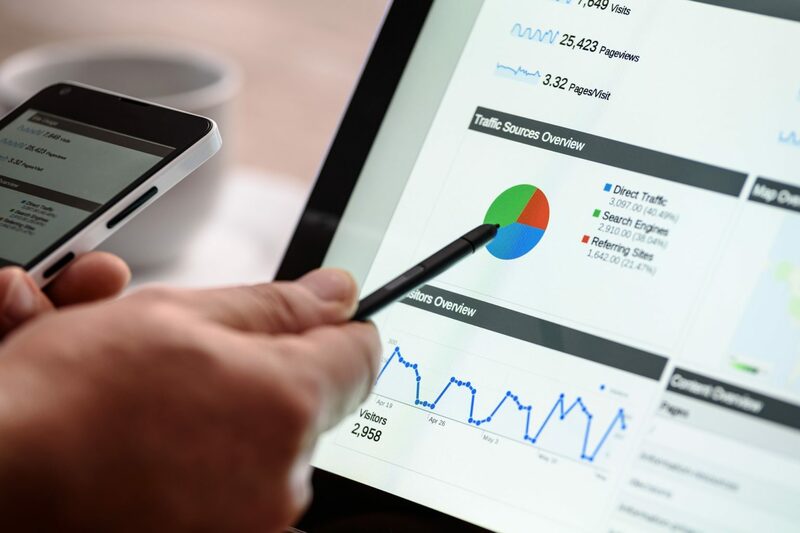 A conversionMOXY SEO consultant will use analytic programs and data to hone in on exactly how we can reach your target customers. We’ll create website content based on a flexible schedule that works for your business. If you want to take a hands-on approach to SEO strategy, we’re happy to give you a personal walk-through. We know our clients by name and consider you part of the family! So, you can be as hands-on or off as you desire. Unlike some other web services, we meet with our clients on a monthly basis to review the past month’s results and plan strategy for the upcoming month. We listen to your plans for promotions or new products and incorporate them in the plan. Our meetings may be by phone, in person or with a web conference. But the important thing is that we listen to you and become part of a team to grow your business. SEO, CTR, ROI… What Does It All Mean? Frankly, the world of SEO changes nearly daily. Additionally, a search engine like Google doesn’t want it to be extremely easy to land on page one of their results. If it were easy, people would game the system (which is what happened in the early days of the internet). Unfortunately, there can only be a few companies on page one and the competition is tremendous. But, how can a small business owner keep up with all the changes? Simply put, you can’t, unless you devote time to understanding things like on-page optimization, click-through rates, and more. You have a business to run. Let us do the work for you! Every SEO consultant on our team stays up-to-date with SEO changes and best practices. We care about the small details that will give you an edge over the competition. Because we eat, sleep, and breathe search engine optimization strategy, you don’t have to. One of the toughest parts about owning a location-specific business is that search engines have users from around the world. Sure, the person in California needs a dentist. However, your dental office in North Carolina probably isn’t their best choice. This is, of course, just an example of how optimization can go wrong for local businesses. You want every dollar spent to work for you to attract more customers, patients or patrons! So, if your business is local, we specifically create strategic plans that help you reach local customers. This is a very tough job for any SEO team. However, our local clients consistently reach local customers through our SEO services. We can do that for your business, too. ConversionMOXY can help you get more search engine traffic today! If you’re ready to learn more, give us a call at 336-203-9743.